The information stored with the data. The method by which the information is indexed. To make for more useful results, most search engines store more than just the word and URL. An engine might store the number of times that the word appears on a page. The engine might assign a weight to each entry, with increasing values assigned to words as they appear near the top of the document, in sub-headings, in links, in the meta tags or in the title of the page. 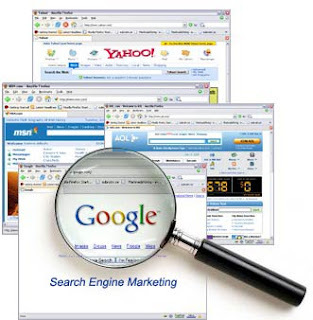 Each commercial search engine has a different formula for assigning weight to the words in its index. This is one of the reasons that a search for the same word on different search engines will produce different lists, with the pages presented in different orders. Regardless of the precise combination of additional pieces of information stored by a search engine, the data will be encoded to save storage space. For example, the original Google paper describes using 2 bytes, of 8 bits each, to store information on weighting -- whether the word was capitalized, its font size, position, and other information to help in ranking the hit. Each factor might take up 2 or 3 bits within the 2-byte grouping (8 bits = 1 byte). As a result, a great deal of information can be stored in a very compact form. After the information is compacted, it's ready for indexing. An index has a single purpose: It allows information to be found as quickly as possible. There are quite a few ways for an index to be built, but one of the most effective ways is to build a hash table. In hashing, a formula is applied to attach a numerical value to each word. The formula is designed to evenly distribute the entries across a predetermined number of divisions. This numerical distribution is different from the distribution of words across the alphabet, and that is the key to a hash table's effectiveness. Searching through an index involves a user building a query and submitting it through the search engine. The query can be quite simple, a single word at minimum. Building a more complex query requires the use of Boolean operators that allow you to refine and extend the terms of the search. AND - All the terms joined by "AND" must appear in the pages or documents. Some search engines substitute the operator "+" for the word AND. OR - At least one of the terms joined by "OR" must appear in the pages or documents. NOT - The term or terms following "NOT" must not appear in the pages or documents. Some search engines substitute the operator "-" for the word NOT. FOLLOWED BY - One of the terms must be directly followed by the other. NEAR - One of the terms must be within a specified number of words of the other. Quotation Marks - The words between the quotation marks are treated as a phrase, and that phrase must be found within the document or file.